Collecting Box Tops is an easy way to earn money for our school. Thomas Elementary earns 10 cents for every Box Top we turn in. Look for products with Box Tops on them at the grocery store, and don't forget to ask friends, grandparents, relatives, neighbors and co-workers to clip and collect Box Tops for Thomas Elementary. Collect Box Tops all year long, but remember to turn them by the collection dates below to be included in this year's total. Please remember to check the expiration date on your Box Tops! We don't earn money for expired labels. Send your trimmed Box Tops to school in a small Ziploc bag or envelope. There is a collection box in the office or you can turn your Box Tops in to your child's teacher. Download the Box Tops Bonus App: Earn even more money for our school with this easy-to-use app. Find special offers in the app then scan your receipts. Don't forget to turn in the Box Tops on the product packages, too. When you open the app for the first time, make sure to select Thomas Elementary as your school. The app is available for iPhone/iPads and Android devices. Collect Box Tops at work: Put a collection box in the lunch area or break room at the office. Co-workers who don't have kids in school can clip and share the Box Tops with you to give to Thomas Elementary School. Don't forget about Grandma and Grandpa: Grandparents love to help their grandkids. 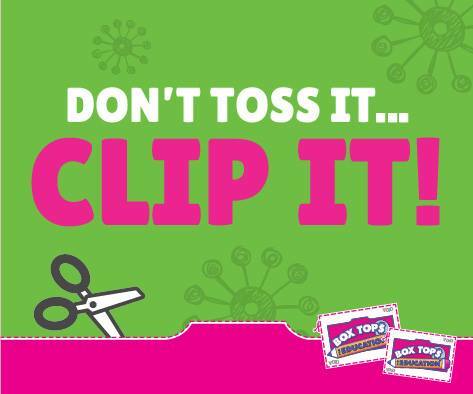 Remind them to clip Box Tops and share them with you. Check the expiration dates and codes: Make sure each of your Box Tops and Bonus Certificates have valid dates. Expired Box Tops don't count. Also, when trimming your Box Tops, make sure the entire expiration date and letter code (three or four letters in the top left) are fully visible.